For the ultimate Arctic experience this unparalleled 24-day voyage is hard to beat. 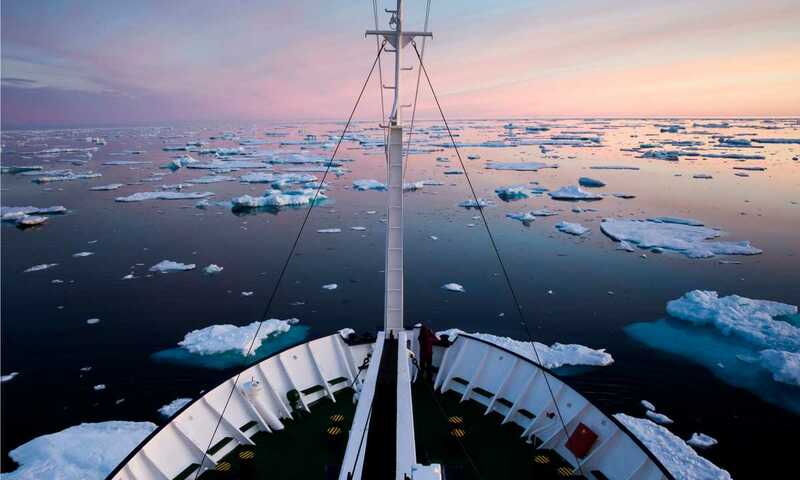 Created by splicing together two popular voyages, it delivers extended time circumnavigating Svalbard while maximising wildlife sightings, with exploration of East Greenland’s deep fjords and towering icebergs. Enjoy a tour of Longyearbyen upon arrival, before boarding the ship and setting sail along breathtaking Isfjorden, featuring dramatic bird cliffs, sweeping glaciers and gorgeous mountain ranges. Awake as the ship sails along Spitsbergen's west coast and its outstanding aqua-blue ice cliffs. 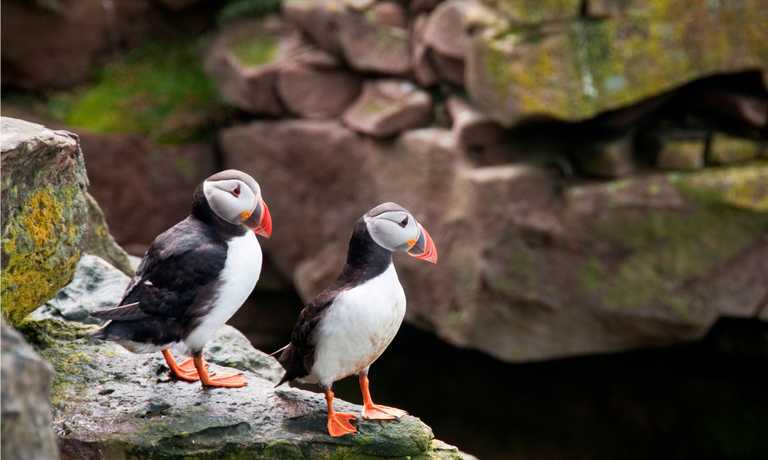 The nutrient-rich Gulf Stream provides us with relatively mild temperatures, a delight for Atlantic puffins and Brunnich's guillemots that have settled on these cliffs. Embark on a thrilling tundra hike, keep an eye out for reindeer and Arctic fox and gaze at the majestic glaciers from the Zodiacs. Explore the remains of the 350-year-old Dutch whaling settlement. Continue the adventure along Spitsbergen's northwest coast into the Arctic Ocean, whales, pack ice and maybe even polar bears keep us on alert. As the ship continues and turns south into Woodfjorden, search for ringed, bearded and harp seals and keep an eye out for fascinating walrus haul outs on the beaches. With almost 24-hour daylight, enjoy tundra walks and take the time to observe at the microflora. Depending on ice conditions, you may cross latitude 80 degrees north - a cause for celebration. Air and sea temperatures start lowering due to the frigid Arctic currents around Spitsbergen's northeast, creating a landscape eroded by severe frost. Even at summer time, there's a chance pack ice could bar the way, but the Russian crew and expedition team ensure you reach the highlights of the European Arctic. You'll attempt to sail through the narrow Hinlopen Strait, where you'll Zodiac cruise along the busy bird cliffs of Alkefjellt as well as walk along the east coast's polar desert, filled with stunted glaciers and exposed fossil fields. Ice conditions and weather changes dictate our expedition plans. You may be able to reach South Cape and head north toward Hornsund and Bellsund, two magnificent deep fjords boasting superb glaciers and wildlife. In case ice stops you, the crew will change the itinerary and you'll spend more time exploring the jewels of Spitsbergen's north and west coasts. A midnight cruise of Isfjorden returns you to Longyearbyen, where you'll enjoy a day dog sledding around Spitsbergen interior before setting off again this afternoon on the next leg of your Arctic adventure. 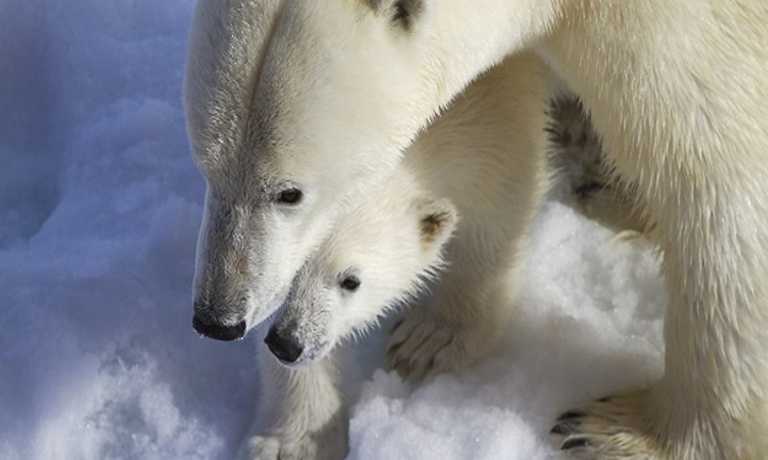 As you head back north, enjoy the last moments in Spitsbergen. Cruise past calving glaciers and land ashore to learn about the area's rich history and observe Spitsbergen's fascinating wildlife. As the ship sails across the Greenland Sea, search for fin whales, pack ice and sea birds. The expert naturalists and guest lecturers provide you with great interpretation of the Arctic's flora and fauna as well as early explorers' epic adventures through illustrated talks. When going to Greenland for the first time, seeing ice is often an awe-inspiring moment. Even in summer time, bays and inlets can still be frozen. However the experienced Captain and team of expedition experts know alternative options to keep you busy with exploration! In Kaiser Franz Josef Fjord, enjoy walks across the tundra as you visit old trapper's huts and observe musk ox, Arctic fox and eider ducks; spend some time admiring the stunning hanging gardens of Kap Humboldt; Kong Oskar Fjord provides gorgeous glacier-carved mountains as a delightful backdrop. Reach Scoresby Sund, the world's largest fjord. The huge Greenland icecap continuously sweeps down gigantic glaciers, making it the birth place for some of the world's largest icebergs! The Zodiacs take you through an incredible maze of icebergs, as you head to the shores for some exciting tundra hikes, and a visit to Ittoqqortoormiit, one of the rare villages of the East Greenland coast. Keep watch for musk ox and narwhals as you sail along the breathtaking mountains of the Blosseville Coast, before the attempt to cruise through Romer Fjord. Continue on with your Arctic adventure and cruise across Denmark Strait on your way to Iceland. Take time to reflect on your various experiences, gaze at northern fulmars and black-backed gulls, and spot dolphins and whales from the ship's bow. We dock in Iceland early this morning; after breakfast, there is a group transfer to downtown Reykjavik or the airport to carry one with your further travel arrangements..